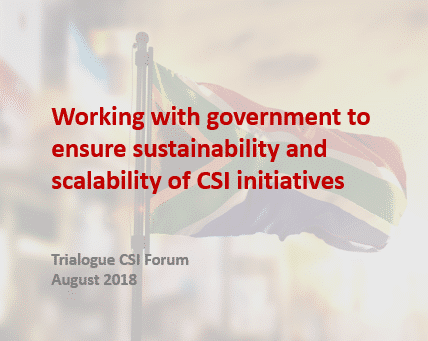 According to Trialogue’s annual corporate social investment (CSI) research, education was supported by over 90% of companies and received nearly half of CSI expenditure (44%) in 2018. Despite maths and science receiving 30% – the largest portion – of education spend, large scale outcomes remain impeded by a range of factors, including unskilled teachers and low levels of literacy among learners. Forum delegates explored various models of intervention and discussed how CSI spend on maths and science education can be targeted to improve outcomes. According to senior research fellow at Stellenbosch University, Nic Spaull, a national sample of primary schools found that 79% of grade six teachers that taught maths could not score 60% or higher on grade six or seven level maths questions. Forum delegates discussed the fact that many teachers who teach maths have not been trained to teach the subject specifically and, as a result, lack content skills and knowledge. According to the 2015 TIMSS, over 90% of learners in South Africa are affected by shortages of maths and science resources. Corporate interventions into maths and science resource support include supplying science kits to schools and CAPS-aligned teacher training on conducting science experiments. Non-profit organisation, Primary Science Programme, trains teachers working in under-resourced schools to use recyclable material for science experiments. According to a 2018 Stellenbosch University study, grade four to seven maths teachers in under-resourced schools in the Eastern Cape are not proficient in English – the language they are required to teach in. 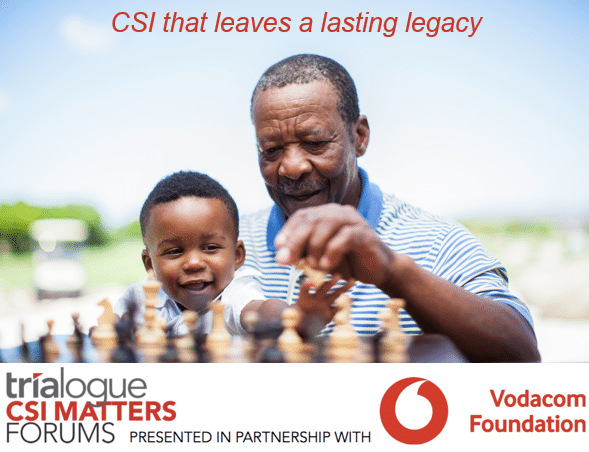 The Progress in International Reading Literacy Study 2016 found that 78% of grade four learners in South Africa could not read for meaning in any language. Recognising literacy as a cornerstone of quality education and numerical interpretation abilities, corporates are beginning to explore investments into teacher training in African languages. Cambridge University Press has also released a series of grade four to seven maths and science textbooks in Sesotho and isiXhosa. Buy-in from key stakeholders in the education ecosystem; including district officials, circuit managers, principals, heads of departments and teachers are crucial for the take-up and sustainability of school-level interventions. Support for the National Education Collaboration Trust is viewed by many corporates who invest in this national pooled funding initiative as a way to impact the systemic shifts that are required to affect broad and lasting change in the education sector. Strengthening the professionalisation of the teaching field is important for creating long-term impact. It is difficult for teachers to apply their training to large classes in which most students are struggling to learn these subjects and, as a result, fall behind in the syllabus. As a result, it is important for teachers to be trained to teach weaker students as well as top performers. The Primary Science Programme incentivises teacher training through professional and accredited development. The Joint Mentorship Programme is a two-year programme for new teachers, run in partnership with the University of the Western Cape, which aims to support teacher retention. The programme pairs student teachers with mentors, to support them with developing their confidence, content knowledge and overall preparedness to teach. Kutlwanong runs specialised workshops which help teachers to transition content from the curriculum into the classroom. These workshops help teachers to simplify maths and science concepts and help learners to understand how maths and science form part of their everyday lives. The Hilton College Vula Programme, run in partnership with the Department of Basic Education in KwaZulu-Natal, trains maths and science teachers working in under-resourced schools in surrounding rural areas to upskill and learn new methods of teaching. The programme runs for one term and provides housing facilities for participants at Hilton College. 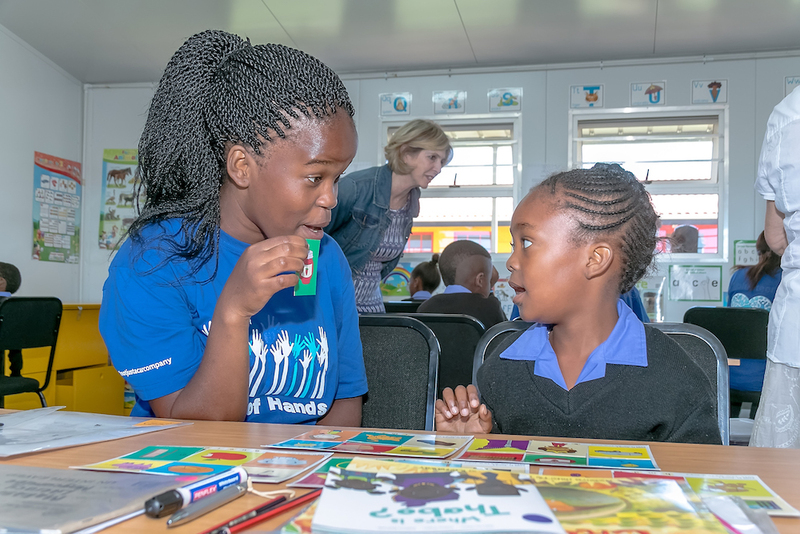 The Edufundi mentorship programme facilitates the mentorship between experienced and new foundation phase teachers, to build teacher capacity in classrooms. Learner-focused maths and science programmes tend to target those who have already displayed potential in these subjects. Delegates agreed on the important role that learner interventions have to play, discussing the crucial need to intervene at an early a stage as possible; for an ecosystem of programming to ensure a continuum of learner support, and for programming to include longer term evaluation of learner performance. An example of a learner-focused programme is Kutlwanong’s Promaths programme, supported by Investec and run in partnership with the Department of Basic Education, which identifies high-potential learners from under-resourced schools in three provinces to attend extracurricular classes. Learner progress is tracked and Investec and other partners provide bursaries and career support. Mapping interventions in maths and science education is needed to facilitate cooperation between various partners, and to ensure that strong models of intervention are identified, best practice and lessons are shared, and gaps are plugged.